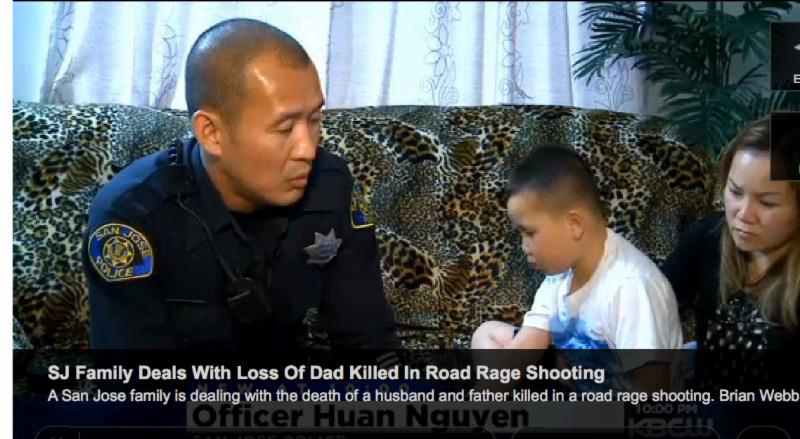 San Jose Police Officer Huan Nguyen, who patrols the area where the shooting happened, took it upon himself to do something and established the web page to collect donations. “Especially in the long run, they’re gonna need it, every single penny that we can give to them, because this story is gonna fade out, and who’s going to remember those kids?” Nguyen said. Law enforcement officers see a lot of horrible stuff in their line of work. Very rarely is there anything police officers can do about most of it. Mostly they’re lucky if they can put it out of their heads when they go home to their families. But even the most grizzled street cop from time to time sees something that drives them to go way above and far beyond the call of duty. A group of San Jose police officers has raised over $75,000 so far in a fundraising drive to help the family of a man who was killed in what investigators say looks like a road-rage incident. The victim, 37-year-old San Jose resident Phuoc Hong Long Lam, was shot midmorning at a local intersection. Lam was a hardworking bus driver. He worked long hours seven days a week to support his wife and two kids according to the officers who are raising money. 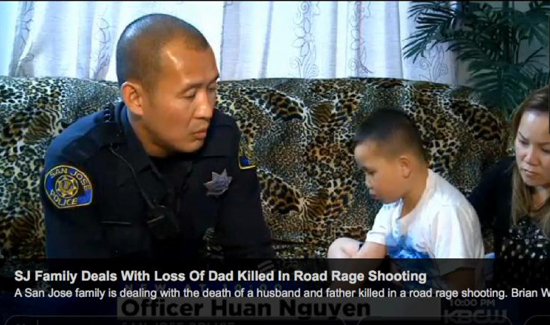 San Jose police officers told reporters with the San Jose Mercury News that the children are seven and four years old. The older child has severe autism. They have no other family in the United States and no one to turn to for help. One of the major challenges in terms of health and safety for police officers is developing the ability to leave the job at work. After all, there are far too many victims out there for police to help outside of their capacity as public safety professionals. But sometimes when a family’s in trouble and you see the family members of the victim’s faces there’s just no way you’re not going to do whatever you can to help out. Watch a local TV news report about this incredible effort mounted by San Jose’s Finest. San Jose police immediately launched a fundraising effort to help Lam’s family get through this incredibly difficult time. In a matter of days the officers had raised more than $75,000 and the gifts are still coming in. If you wish contribute to the fund, visit www.youcaring.com/sanjose15homicide, or checks can be sent to any Wells Fargo branch under the account number 1440267027. 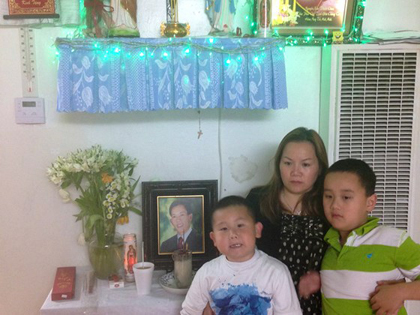 Dieu Huynh, the wife of the man shot and killed, is struggling to make sense of all of it and is overwhelmed. The widow said she does not understand why her husband of 16 years was taken so suddenly and violently.